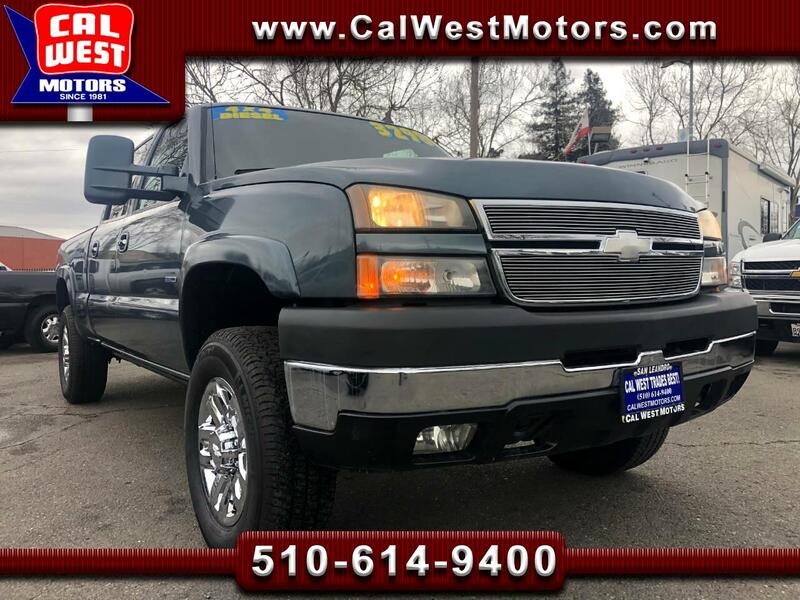 Super Clean, 1owner and expertly maintained 2007 Chevrolet Silverado Classic 2500 HD 4X4 Crew Cab Pick-Up. Powerful 360 HP Duramax LBZ engine with only 90,559 original miles. 6-Speed Allison 1000 transmission. Perhaps the most desired of all Duramax models are the ’06-’07 Classic body style trucks. With arguably the best plug-and-play horsepower potential (on top of 360 horsepower right out of the box), the last of the essentially emissions-free engines, and a strong, six-speed Allison to back them, the LBZ Duramax has a lot going for it. This truck incorporates the ride-friendly IFS, quiet and proven Bosch common-rail injection system, and is very reliable. Gorgeous and original Blue Granite metallic paint. Spotless clean cashmere leather interior. 9200 LB GVWR. 9800LB towing capacity. Extras include 18 Inch GM Rally Chrome Alloy Wheels with Michelin LTX M&S Rated Tires, Fold Up-Down Side Steps, Extendable Tow mirrors, Upgraded Kenwood Stereo System, Rear passenger DVD System, Bose Speakers and more. Exceptional condition and value under $32,000.